During the cake cutting during the reception, a bride excitedly watches her new husband sample the delicious cake. This was a fun moment at the reception of a out door wedding. The reception got to the point where it was time to cut the cake so the bride and groom mosey over to where the cake was and before they cut the gorgeous vanilla cake the groom just can not wait and takes a sample for him self. 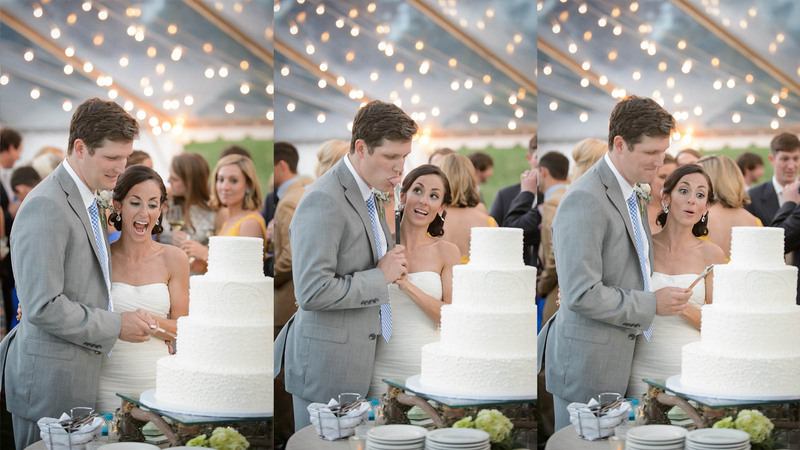 The bride is in awe that his new husband just scooped a piece of the whipped icing off before cutting the cake. The room filled with laughter because thats just how the grooms personality is, fun and care free.